Algorithmic modeling is where design and programming intersect. 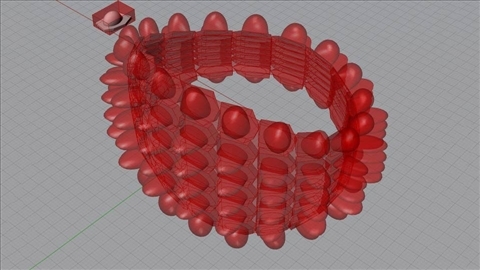 Grasshopper—a plugin for Rhino 3D—allows you to create complex 3D models. Dynamo is an extension for Revit that allows you to create geometry in Dynamo itself or edit the geometry in Revit files. 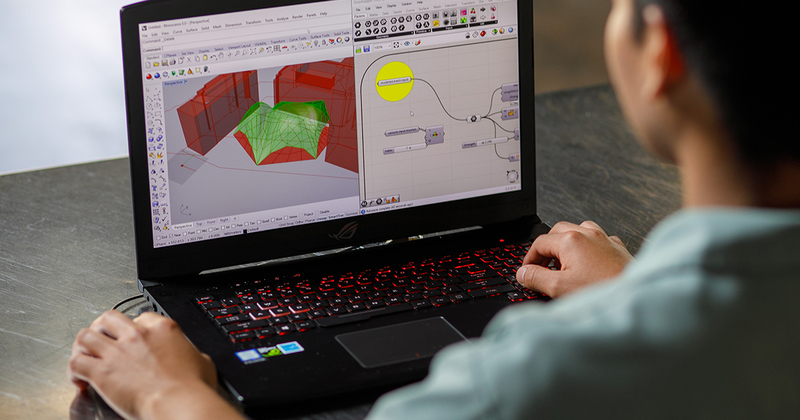 Using a node-based visual language like Grasshopper or Dynamo allows you to construct data-driven geometry, automate repetitive design tasks, and create prototypes that would be impossible with standard CAD tools. 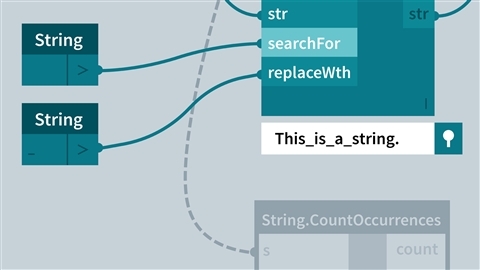 Discover how to apply algorithms to art, manufacturing, architecture, and design. 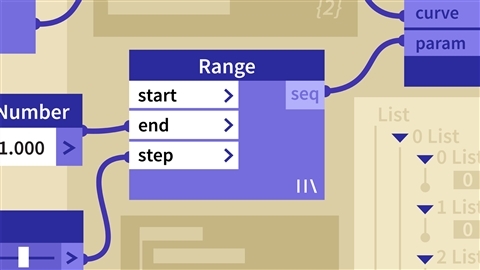 Create algorithms to generate designs you can use in real-world projects. 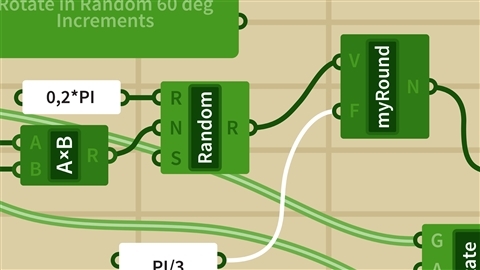 Learn the basics of using Grasshopper, the visual programming add-on to Rhino, to create complex 3D models with simple math, algorithms, and repeating forms. 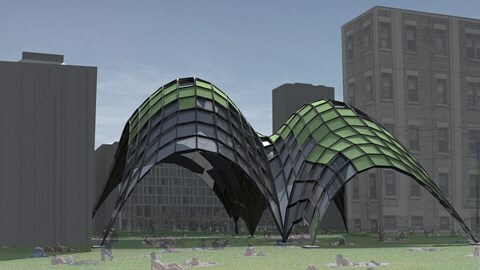 Learn how to use Grasshopper scripts to create prototypes to test concepts, predict costs, and aid the architectural proposal process. 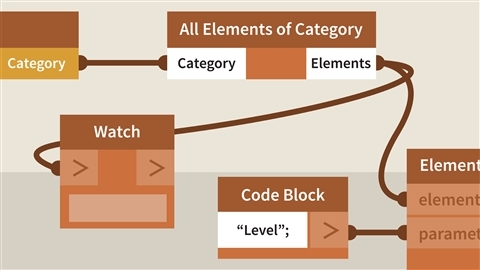 Learn how to use Autodesk Dynamo with Revit. Generate algorithms to analyze data, read and edit data from outside sources, create geometry in Dynamo itself, or edit the geometry in Revit files. Discover how to leverage Autodesk Dynamo—a powerful tool that's already included in your Revit software—to solve modeling challenges with greater efficiency. Chris Reilly is a Detroit-area artist, hacker, and teacher. Working individually and collaboratively, his artwork explores telepresence, relationships, physical subjectivity, and community building with media, including games, performances, relational objects, robots, and open-source hardware/software projects. Chris holds an MFA from UCLA's School of the Arts and Architecture. He has shown his artwork in solo and group exhibitions internationally, including the Ann Arbor Film Festival; the Intimate Instruments workshop at the Hammer Museum in Los Angeles; a public installation at ZERO1 Biennial in San Jose, CA; and collaborative projects in Hong Kong's Microwave International New Media Arts Festival. His works have been profiled in Make magazine, Wired, and Punk Planet, and Chris has published art texts in Geez and Infinite Mile. He has taught new media and digital fabrication courses at the School of the Art Institute of Chicago and created 3D animation courses for Lynda.com at LinkedIn. He is an assistant professor of digital media at Eastern Michigan University. Walter Zesk is a professor at JWU's College of Engineering & Design and the cofounder of Conform Lab. His research and professional practice straddle the border between design and engineering, primarily focusing on using emerging technologies to develop parametric product systems. As a graduate student, he collaborated on the invention of a parametric kirigami system that grew into the Seeyond product line, now owned by 3form. As cofounder of Conform Lab, Walter provides consulting in design automation and direct manufacturing technologies. Prior to joining Johnson & Wales University in 2015, he taught at Rhode Island School of Design (RISD) and the Boston Architecture College. Ian Siegel is a BIM practice specialist and educator. He has a fascination with technology and a passion for improving the process of architectural design. As a BIM practice specialist for Kohn Pedersen Fox Associates in New York City, he works closely with teams of designers to develop custom tools and workflows that allow them to design freely, document efficiently, and coordinate effectively. Ian began exploring Dynamo as a way to automate aspects of his design and documentation work in Revit, and now he enjoys sharing time-saving techniques with others in the industry who are looking to do the same. CAD manager Paul F. Aubin a top-rated speaker at Autodesk University and author of Aubin Academy Mastering. Paul F. Aubin is the author of many CAD and BIM book titles including the widely acclaimed The Aubin Academy Mastering Series. His latest book, Renaissance Revit, takes a deep dive into the Revit Family Editor. Paul has also authored several video training courses for lynda.com. He is an independent architectural consultant who travels internationally providing implementation, training, and support services. Paul's involvement in the architectural profession spans over 25 years, with experience that includes design, production, CAD management, mentoring, coaching, and training. He is an active member of the Autodesk user community, and has been a top-rated speaker at Autodesk University for many years. Paul is also a frequent speaker at the Revit Technology Conference (RTC) in both the US and Australia, at the BIM Workshops, and at Minnesota University. His diverse experience in architectural firms, as a CAD manager, and as an educator gives his writing and his classroom instruction a fresh and credible focus. Paul is an associate member of the American Institute of Architects. He lives in Chicago with his wife and three children. Jeremy Graham is a registered architect specializing in stadium bowl and computational design. Jeremy's expert ability with 3D modelling applications such as Autodesk Revit and Rhino has led him to master visual programming tools Dynamo and Grasshopper to produce faster, smarter design. His passion for design technology has led him to mastering the Python and C# programming languages, allowing him to develop plugins that extend the functionality of both Autodesk Revit and Rhino. Jeremy contributes to the Dynamo community with his personal blog—www.learndynamo.com—where he teaches practical Dynamo workflows, aimed at automating common tasks in Autodesk Revit, by utilizing Python. Learning Paths are big commitments. Keep your goal in focus by taking one at a time. Starting Stay Ahead in Architecture with Algorithmic Design will pause your previous path and save your progress.